Welcome back and happy 2011. This is the first post of the new year and hopefully it will be a good one. I went to Webster Hall for New Years Eve and although I had a few other plans I ended up being there all night. As you may know I don’t drink except on rare occasions, NYE being one of those, and after more than a dozen bourbons I was not really thinking about heading to Brooklyn except to my bed. That being said I didn’t actually get home until about 7 and I don’t think I was asleep until 10 or 11. Fun. After that I went upstairs to where Trash was and those guys gave me some drink tickets and I continued getting retarded. I made out with some guidette for some reason and then it’s sort of a blur after that. I actually pissed in two water bottles on stage. It was pretty fantastic. I was probably 10 drinks into the night when the Burning Angel crew showed up. I drank some of their vodka at which point things really got sloppy. I am pretty sure I made out with about four more people from that point onward. Joanna Angel did a burlesque number and then there was a gay naked cowboy followed by Bella Vendetta and Draven doing a Freddy Vs. Jason strip show. I was just laying on the stage for most of it but a woman named Claudette was holding on to me and that kept me upright and shooting. Anyway it was a fun night and the pictures are pretty NSFW. 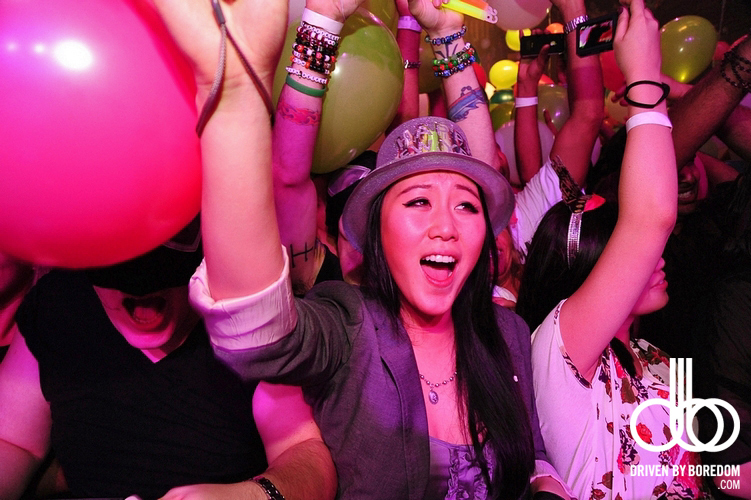 You should look at all of the in focus shots from Webster Hall’s 2011 New Year’s Eve celebration by clicking right here. Happy New Year.